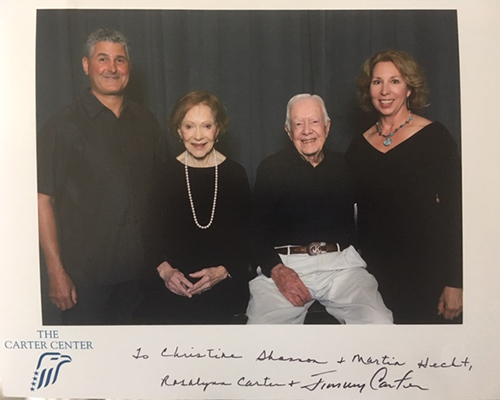 Thank you for your efforts organizing tours for our guests during our 2018 Carter Center Weekend. The guides offered detailed information on each site, and our guests thoroughly enjoyed learning the history and visiting the various locations. This was our 26th event, our first time in the Pacific Northwest, and the Columbia River Gorge area provided a perfect setting for our annual fundraising trip. The proceeds will support our efforts to wage peace, fight disease, and build hope around the world. Your support and friendship are greatly appreciated. 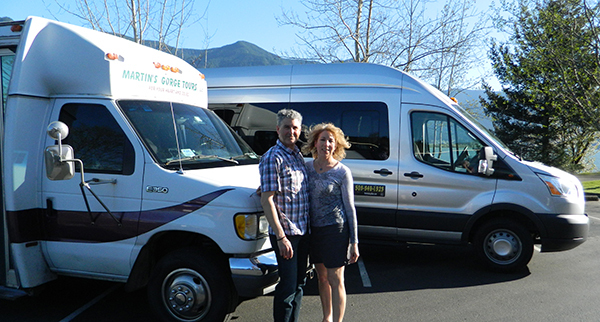 Martin Hecht, co-owner of Martin’s Gorge Tours, has been exploring the Columbia River Gorge and surrounding areas for the past quarter century, so it was a natural fit to provide tours to visitors when he started the business nine years ago. Hecht recently joined forces with his girlfriend, Christine Shannon, to increase the number of tours the company can provide. The couple also purchased a new 14-passenger Ford E350 motor coach to accommodate more passengers. The vehicle will be used alongside the company’s 20-passenger Ford E350 and an eight-passenger Chevy Venture minivan. Hecht said tours can be customized for each tour group, whether they want to tour wineries, waterfalls, wild flowers or breweries. The business also shuttles wedding parties or corporate boards between functions. He said the most popular tour is one in which people visit waterfalls during the morning hours, then go to a winery or brewery in the afternoon. Hecht said he has an encyclopedia of local knowledge to the business. Much of his business comes through word-of-mouth or from referrals from local hotels/motels, chambers of commerce and wine or beer associations. “Wine tasting, waterfall, and wildflower tours by an outdoorsman and adventurer with over 20 years? Experience exploring the Columbia River Gorge. Martin has wilderness training in backpacking, rock climbing, spelunking, and white water, and he is an experienced river guide.